Great news for animal rights activists and the critters they seek to protect. 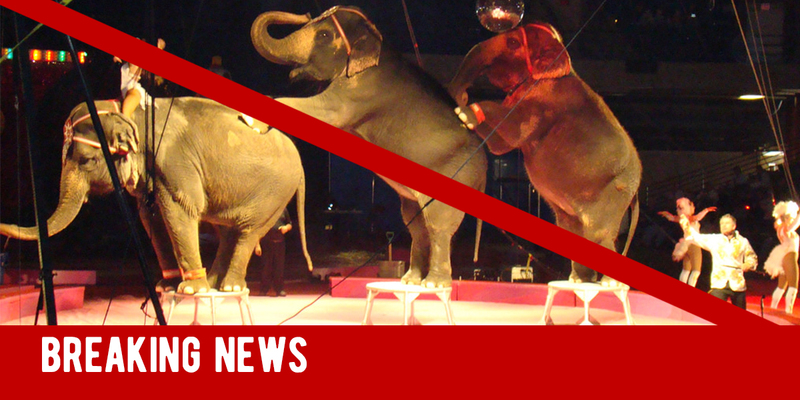 It is now illegal for circuses to feature wild animals in their circuses. Under the Prevention of Cruelty to Animals Act which was passed in 1960, the training, exhibition and use of elephants for performances was already prohibited. But now, all wild animals are banned from being exploited for the sake of profit and human entertainment. During the latest evaluation, the CZA team (supported by animal rights groups and veterinarians) found “substantial evidence” of abuse and cruelty against elephants. Some of the violations include lack of adequate space, improper waste management, sick animals, stressed animals, and evidence of insufficient medical care. During one of the investigations, elephants that could hardly move because of injuries and pain were found. Following the unsightly discoveries, the CZA cancelled the registration of seven circus operators. “All the circuses evaluated were found violating the norms,” reports India Today. When confronted, the circus owners claimed that the elephants no longer perform but are present for “educational” purposes. The new cancellation order mentions that circus owners had several years to improve the situation and habitats of animals, but failed to do so. “Deregistration process was carried out based on a series of investigations. The probe showed that animals were being maintained in circuses in cruel conditions and were tortured to extract performances. Some of the owners of circuses even submitted morphed photographs to us in a bid to claim that animals were kept well,” said Singh. The CZA member secretary added that digital media is now being used as evidence to shut down many of the zoos. Now that zoos in India are banned from including wild animals, wildlife wardens of states have been directed to rehabilitate the elephants from de-recognized circuses.
? A New Ape Species Has Just Been Discovered, But It’s Already Endangered Ancient Hidden Knowledge– What Do Halos Really Represent? ?